If I had a dollar for every time someone asked me how much my Great Pyrenees cost, I’d have enough money to buy 100 acres of land and build the Great Pyrenees rescue of my dreams. The question is asked all the time. And honestly, it makes me pretty uncomfortable. Because people are generally only interested in the initial cost of a puppy or rescue dog. They don’t care about the lifelong expenses that are just as—if not more—important. So, let’s start at the beginning—acquiring the dog. I’ve seen Great Pyrenees puppies being sold for about $1,000 to $2,500 from reputable breeders. But I’ve seen puppies for about $200 from irresponsible breeders. Rescues may have pyrs for about $500 depending on the dog’s age. But remember—a higher price doesn’t mean you’re getting a better-quality puppy. If you decide to purchase from a breeder, there are a few things to consider. Related: Breeding Great Pyrenees: Does Job Matter? The Great Pyrenees is a healthy breed. In an effort to maintain this health level, the Great Pyrenees Club of America recommends that each breeding Great Pyrenees (sire and dam) qualify for a CHIC number and make all health testing results public through the OFA CHIC database. 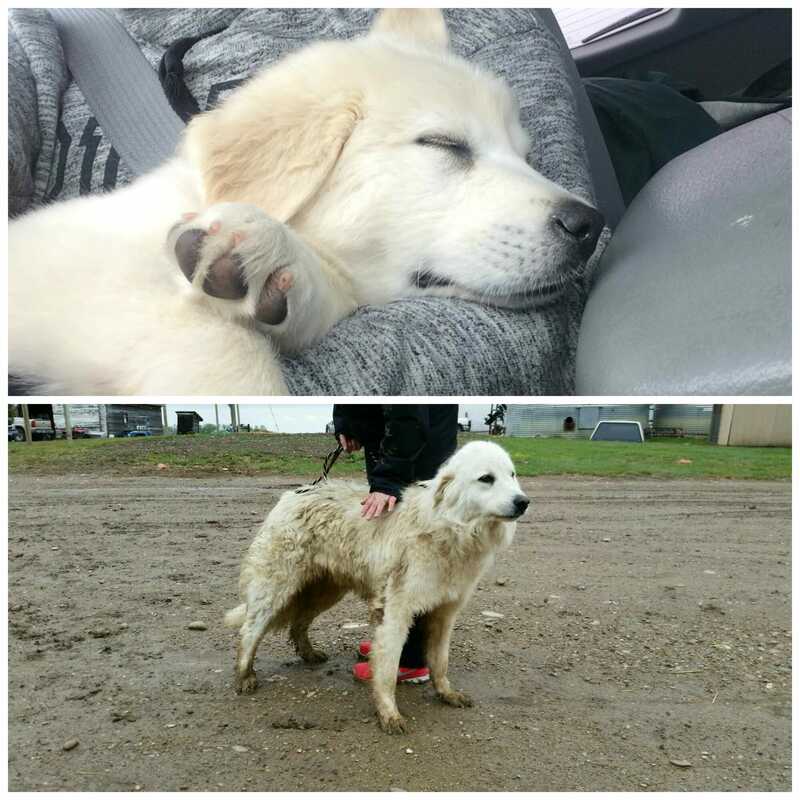 Our pups are raised on the farm for at least 10 weeks, with their mother and other trusted pyr mentors prior to going to their new homes/farms/owners. Our pups are raised using Puppy Culture and are well socialized with people of all ages, animals, and livestock of all kinds. I make a take home pack for when they leave with puppy food samples, brochures, coupons, all their records, a pedigree, a toy, and some treats. And remember, a lot of breeders don’t actually make a profit because they’re not in it for the money. They want to better a breed they love. This cost is just the beginning. You’ll have about 10–12 years with your new pup—more if you’re lucky. 10–12 years of food, grooming, medical expenses, toys, and more. Let’s start with the most obvious—the food. This can vary widely depending on the type of food you feed your dog—dry, canned, homemade, raw, or a combination of these. We spend about $250 a month on food (not including treats and chews). This is split between dry food from Only Natural Pet, homemade food from The Farmer’s Dog and NomNomNow, and freeze-dried raw food from Dr. Marty. The cost varies based on the time of year. Pyrs will naturally eat more in the winter and less in the summer. But as far as giant breeds go, Great Pyrenees are cheaper to feed. They have slow metabolisms and don’t need as much food as other giant breeds. If you’re going to take the DIY route, you’ll have your initial costs—grooming table, rake, brush, shampoo, nail clippers, and more. Don’t forget the ears, teeth, and paws when you self-groom either! Many of these are recurring costs, so that should also be considered when determining your own DIY grooming cost. If you’re going to go to a professional groomer, anticipate about $100 per dog (and don’t forget the tip). Of course, it depends where you go—a chain store versus a local groomer—but I anticipate about $300 when I take all three to the groomer. I also like to have a professional groomer trim their grinch feet since I always end up giving them terrible bowl cuts on their feet. I highly recommend everyone attend a training class (or better yet, several) with their Great Pyrenees. Especially if you have a puppy—puppy kindergarten is extremely important. And it’s is 100% worth it—as long as you’re attending class with a reputable trainer. Group dog training classes vary in cost, but you should expect anywhere from $100 to $200 for a six-week course. If you attend Puppy Kindergarten, Obedience 1, Obedience 2, and any other classes like rally, agility, or nose work, that cost will add up quickly. Especially if you plan on taking more than one dog. If you’re bringing home a puppy, you’ll need to prepare for the initial shots like bordetella and rabies. Looking back on Mauja, Atka, and Kiska’s puppy shots, it was about $75 per visit—and there were four of them. Then you’ll need to consider the cost to spay or neuter. The cost varies, but you can expect a spay to be more expensive than a neuter (it’s a more complex procedure). Some vets sell a “puppy package” which includes all the shots and spay/neuter in one price. If your vet does this, I highly recommend it. I was quoted about $450 for Mauja’s spay alone. We did the puppy package and spent $400 on all of her shots and spay. The best part is that most don’t make you spay/neuter by a specific age. We bought the puppy package for Atka and waited until he was older to neuter. It was a relief not to have that expense later on. You’ll also want to prepare for flea, tick, and heartworm prevention costs, depending on where you live. I’d also include supplements—like salmon oil and joint support—under health expenses. These are two that I think every Great Pyrenees should be taking consistently. Last year, Mauja completely blew her CCL (cranial cruciate ligament) and needed TPLO (tibial-plateau-leveling osteotomy) surgery. The surgery was going to cost about $6,000—money we definitely didn’t have to spend. We would have figured out how to make it work, but I’m very thankful that we had pet insurance. We paid our deductible, and the rest was covered. One less thing to worry about in the midst of the crazy! CCL tears are common in giant breed dogs. But you’ll also want to prepare for the possibility of bloat, hip dysplasia, arthritis, and osteosarcoma—some of the more common health issues in Great Pyrenees. Pyrs can easily destroy any “indestructible” toy. I think the last one we had was shredded by Mauja in about 10 minutes. But that doesn’t mean we’ve stopped buying them toys! Pyr life hack: Replace stuffing in toys with holes and sew them closed to make them last longer. Oh, Great Pyrenees. They’re amazing, but there’s a reason Mauja’s nickname was “Little Monster” as puppy. When Mauja was “in a mood,” she used to stare at us while chewing the corner of the wall. This was usually because we told her she couldn’t go outside. So there was that damage to fix. Plus, there’s the muddy walls and paws, endless vacuuming, and faster wear and tear to your home. Oh, and expect to need a new vacuum every 6–12 months. Our yard is also a disaster. In Montana, the dogs had a digging box, which definitely helped. I just never built them one here in Washington. They will have one at our next house though! In the vast majority of cases, you should plan to have a pet sitter come to your house rather than place your pyr in boarding. I do know a few pyrs that absolutely love it, but typically they’ve been going since they were babies. Most pyrs don’t do well in boarding. Why? Because they’re guard dogs. They’re always listening, looking, and smelling for things that could be a threat. The constant barking and unfamiliar environment can be too much for your pyr. I’ve known several pyrs to go “kennel crazy” after their family took a quick vacation. But I know that it can be insanely hard to find a good pet sitter. We found one a few years ago who was amazing. She worked part time, so she was able to spend a lot of time with the pups. Plus, she was more of a homebody, so she wasn’t going to come back to them at 3 am. I wish I could fly her out to watch the dogs! Related: Pet Sitter or Boarding? Since then, it’s been a bunch of misses. The last one kept Kiska in her house (since she’s so used to being with me) and did drop-ins for Mauja and Atka (and Indie). At first, I got rave reviews about Kiska. Then after a few days, she was telling me things about Kiska that I never could have imagined. And got mad at me when Kiska chewed a wall when I told her Kiska couldn’t be left alone. Kiska ended up breaking two teeth when she was kenneled (when she wasn’t supposed to be). She also lost 20 pounds. At only 80 pounds to start, losing 20 in two weeks was insane. And I do crazy vetting of any potential sitter. I think this individual thought she was prepared, even with all of my disclaimers. It’s not easy to leave them, and I absolutely hate leaving them, but sometimes, it’s necessary. I recommend doing an overnight or a weekend trip as a test with your sitter to make sure everything will run smoothly. Dogs aren’t cheap. And giant breed dogs definitely aren’t cheap. But as long as you’re prepared, they’re 110% worth it. Recently, I shared my thoughts on finding a reputable dog breeder and why I believe they’re important. Today, I’m going to share why reputable rescues are extremely important as well. I’ve come across sketchy rescues over the years. Rescues that pocket the money they get for the dogs rather than using it for their care. Rescues that don’t have the dog’s best interest in mind. Some people encounter a rescue like this, have a bad experience, and then swear off rescues. Here are six reasons I support dog rescue, and why I think you should too. This past weekend, we had the opportunity to meet some adoptable dogs and alumni from the Great Pyrenees Rescue Society. It was absolutely amazing to be in a room full of pyrs and pyr mixes – so much floof! If you’re interested in a dog from Great Pyrenees Rescue Society, head to their website or check out their Facebook page for more information! Yesterday, PetSmart® announced the launch of its new Buy a Bag, Give a Meal program in celebration of its 30th anniversary. From March 1, 2017 to December 31st, for every bag of food purchased online or in-store (locations across the U.S., Canada, and Puerto Rico), PetSmart will donate a meal to a pet in need. During the campaign, PetSmart expects to donate more than 60 million meals. For the past 30 years, PetSmart has teamed up with its nonprofit partner, PetSmart Charities® to save more than 7.3 million pets’ lives. If it seems like a lot, it is. PetSmart and PetSmart Charities have helped foster more adoptions than any other brick-and-mortar organization. Even more, PetSmart Charities is the leading funder of animal welfare in North America with over $300 million in support. A recent PetSmart Charities survey found that of their 1,800 animal welfare partners across North America, only 20% received pet food donations and only 8% are contracted to received subsidized pet food. Furthermore, one in seven Americans rely solely on food banks and pantries. With pet food being a rare find at these human food bank programs, many will sacrifice their own food to ensure their pet has something to eat. Every pet lover is always looking for ways to helps the pets who don’t have homes. Unfortunately, it’s not always financially possible to donate, which is why the Buy a Bag, Give a Meal program is so awesome. Simply ensure you’re buying your pet’s food at PetSmart and you’ll be feeding other pets in need – how simple is that? We already do most of our food shopping for the fluffies at PetSmart, but we are going to ensure we are spending our dollars there for the rest of the year to support pets in need! If you don’t already purchase your pet’s food at PetSmart, will you be adjusting your purchasing habits for the rest of 2017? For more information on Buy a Bag, Give a Meal, read the PetSmart press release here! To keep up with all the latest happenings with PetSmart, follow them on Facebook, Twitter, and Instagram. I had half of this post written thinking I knew who my training inspiration was. I wrote about Mauja and Atka and how their pyr nature pushed me to be a better trainer. I wrote how they forced me to learn new techniques, change my habits, and get creative. I went on and on about them until it hit me: they weren’t my first training inspiration. If you’ve been around here awhile, you know a bit about Kaeto. Kaeto was the first dog my husband and I got together – he’s what truly made us a family. After moving across the country and away from family, we knew we couldn’t be without a dog. So, we headed to the local shelters and immediately fell in love with Kaeto. His different colored eyes, his freckles, and his half floppy ears – I couldn’t resist that face. He was extremely malnourished and had obviously had zero training. At about a year of age, he didn’t know how to sit or even his own name. He came home with us later that day. Over the next few weeks, we slowly started to realize the extent of his “issues”. While the shelter told us he wasn’t leash-reactive, he definitely was. They also told us he was great with other dogs, which he wasn’t. He was far too excited and didn’t know how to handle his emotions, which often turned into aggression. He also had terrible separation anxiety and chewed his way through a metal crate in less than a half hour. I quickly realized why he was relinquished by not one, but two families. However, I knew he wasn’t going anywhere. He was ours and ours to stay. Since we had just moved and were only supposed to be in that location for 5 months, I didn’t get a job. This gave me ample time to work with Kaeto. I knew how to teach basic commands, but Kaeto’s needs went far past that. I can’t even remember the number of books I read and hours I spent online researching and learning. We were out and about every day. 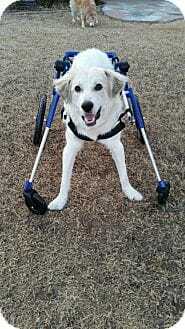 Kaeto taught me how to exercise a dog on a bike and just how much energy a dog can have. He taught me how to be patient. He taught me how to get out of my comfort zone. He taught me more than I can possibly say. Kaeto lived with us for less than a year before he very unexpectedly passed away. I still remember that day like it happened in slow motion and am tearing up as I write this. Thanks to Kaeto, I learned how to work on so many skills, including leash-reactivity, over-excitement, separation anxiety, and overall socialization. He pushed me to my limits and there were days I cried and cried because I was so overwhelmed. But thanks to Kaeto, I now have the confidence to take on “tough cases”. I’ve built a foundation for dealing with difficult behavioral issues. I can help save more dogs. One of the first things I do every morning is to check my email. I quickly peruse my inbox to see if there’s anything urgent I should reply to immediately. I learned long ago not to respond to the majority of my emails first thing in the morning – they don’t tend to be the most coherent emails! This morning, one particular email caught my eye. The subject line showed that the Great Pyrenees Rescue of Oklahoma filled out a contact form here on It’s Dog or Nothing. I love working with rescues, so was eager for what they had to say. The message stated that they have a wheelchair bound pup named Link in rescue and included links to his bio and a few videos. I immediately clicked through to both. After reading Link’s bio, I was heartbroken. Link was abused by his former owner and suffered substantial injuries. Link suffered a lower back injury that caused him partial paralysis, the left rear leg broken in two places, and right rear leg was mangled beyond repair. The right rear leg had to be amputated. I then watched the video and sobbed the entire way through. I started crying because I couldn’t believe someone could do that to such an innocent animal. Then I cried because I was blown away by how resilient Link is. Animals are truly amazing. Even through all the horror he’s been through at such a young age, Link is just the happiest boy. While he’s doing great in his foster home, Link really needs a place to call his own – his furever home. Working in rescue has ups and downs, but mostly downs. This past weekend, it rained pyrs. First we received a surrender form for a 4 year old, male pyr. As I worked to get an evaluation set up, I received an urgent email about a puppy. A puppy that was getting kicked and beaten by some teenagers. A puppy with injuries to an unknown extent. The puppy is in foster care, but the 4 year old is still with owners that don’t want him because I can’t find a foster. People always say they want to help, but I can’t find people to step up and actually help. My heart breaks for this dog and I feel completely helpless. I know everyone can’t foster for various reasons. I can’t because of an animal limit where we live. If you can’t foster, transport help is always needed. If you can’t transport, volunteer. Make phone calls. Organize applications. A rescue can’t survive without volunteers. Right now I wonder if our rescue is going to survive. It’s Throwback Thursday and I’m feeling a bit nostalgic today. Want to hear the story about how Atka came to be a part of our family? A few months after our first dog, Kaeto, passed away, Nick and I started to consider adding a second dog to our family. Our hearts were ready to add another family member and Mauja was becoming noticeably lonely. We both started looking through PetFinder and a few of the rescues I follow for pups that would be a good fit. When we started our search, we weren’t looking for another Great Pyrenees. We were looking for a Great Dane. After a lengthy screening process, we were approved to adopt from a giant breed rescue. Months of waiting lists later, we found a Great Dane that we thought would be perfect for our family. Unfortunately, he was not keen on Mauja and everyone agreed that he would do better with a dog of a similar energy level and personality. Our search started again. Shortly after I found a post for a deaf Great Pyrenees in Salt Lake City. Something about his picture captured our hearts and we knew we had to meet him. It was 8 hours away, but we were more than willing to make the drive. I contacted the rescue only to find that he had another interested adopter that was coming to meet him that weekend. If it didn’t work out, we were next in line. This sweet pyr stole the first family’s heart and they took him home immediately. I’m so happy he found a loving home. At this point, we were starting to get a bit discouraged. We put in an application for another large pyr rescue that had several dogs we were interested in learning more about. I’m not sure if our application got lost, but we never heard back and I had a very difficult time contacting them. Nick and I were about to put our search on hold until we found out that Mauja’s breeder was planning a litter in the next few months. We hadn’t planned on going the puppy route this time, but we decided to consider the option. After many, MANY conversations we decided that we really did want another puppy. I love the responsibility and work that a puppy requires and was ready to take on the challenge. We placed our deposit and eagerly awaited the puppies’ arrival. The momma birthed 11 beautiful, healthy puppies, 7 of which were male. By placing our deposit early, we were able to have first pick of the male puppies. When the puppies were 5 weeks old and their personalities really started to develop, we were able to make our selection. After hours of talking with the breeder, playing with the puppies, and watching them interact, we had made our decision. Passion is a wonderful thing when working with animals. I’m an extremely passionate person and have very strong beliefs, especially when it comes to animals. I know I’m not the only one.